Terminator Coloured Contact Lenses Range are ideal for creating the ultimate Terminator look! These officially licensed coloured contact lenses include all your favourite Terminator characters. They are light, soft and comfortable to wear. Your eyes will feel fresh, hydrated and comfortable all day long. These lenses are manufactured by EDIT Brand Crazy Coloured Contact Lenses. 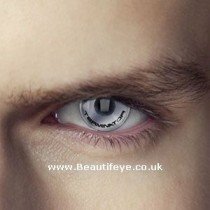 Whom are known worldwide for their crazy Halloween coloured contact lenses, because they supply an extensive range of coloured contact lenses!